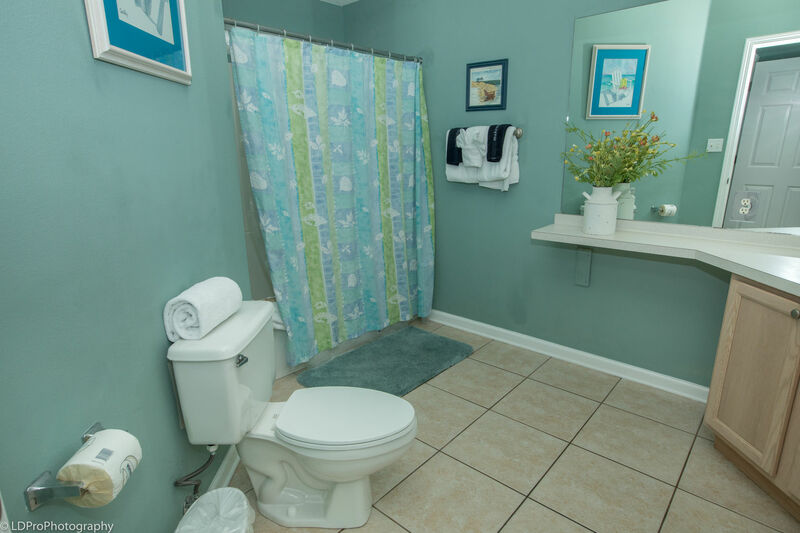 Sandpiper Cove 9111 - Holiday Isle Properties, Inc.
Have a look at this beautiful two bedroom/two bathroom condo, Sandpiper Cove 9111. 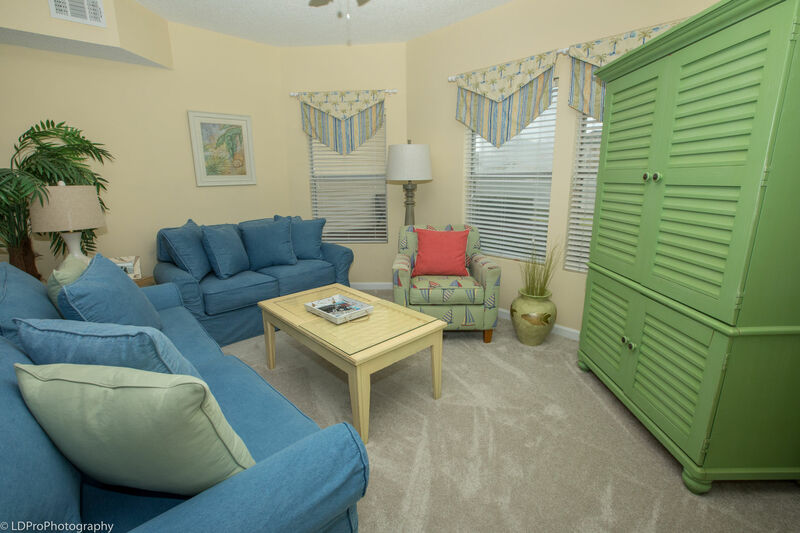 The living room has fresh carpet with two plush chairs and a nice couch that doubles as a Queen size Sofa Sleeper. 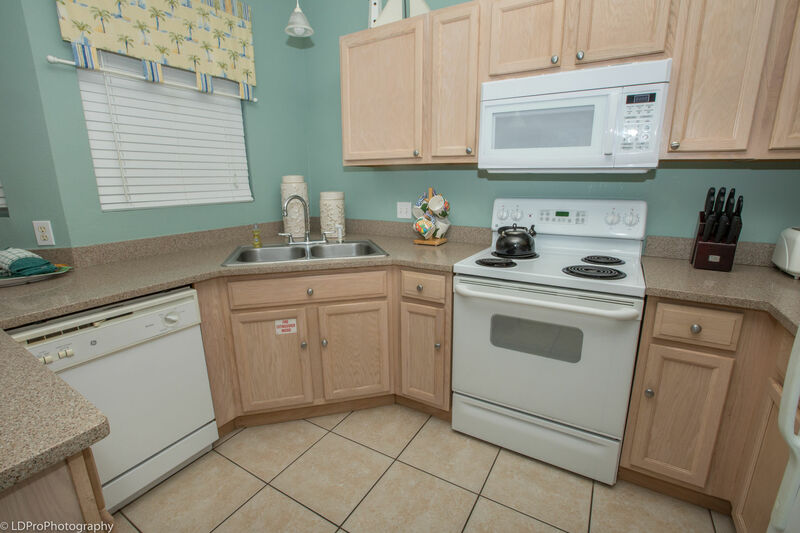 The open, spacious kitchen is done in granite with beautiful wooden cabinetry. 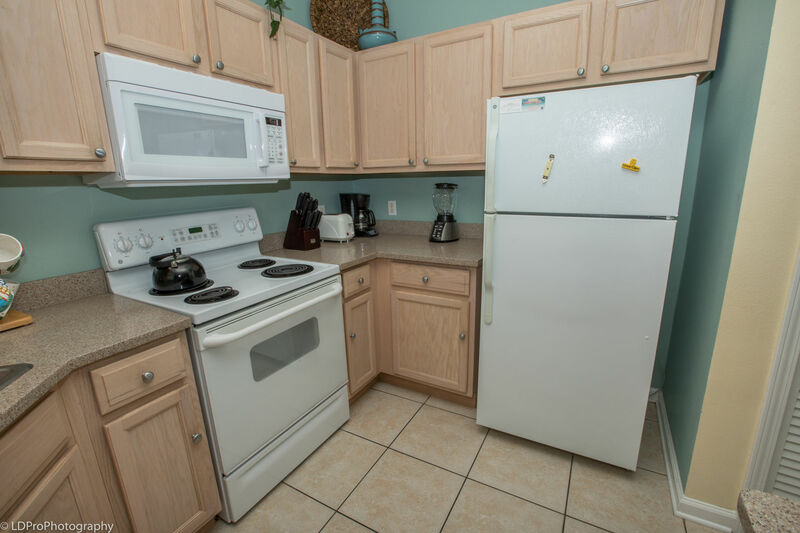 You’ll have all the full size appliances with enough dishes, pots, pans, and silverware to prepare your favorite meal. The Dining area is home to a large table that sits 6 with comfort and ease, while the kitchen’s bar can also sit additional guests if needed. 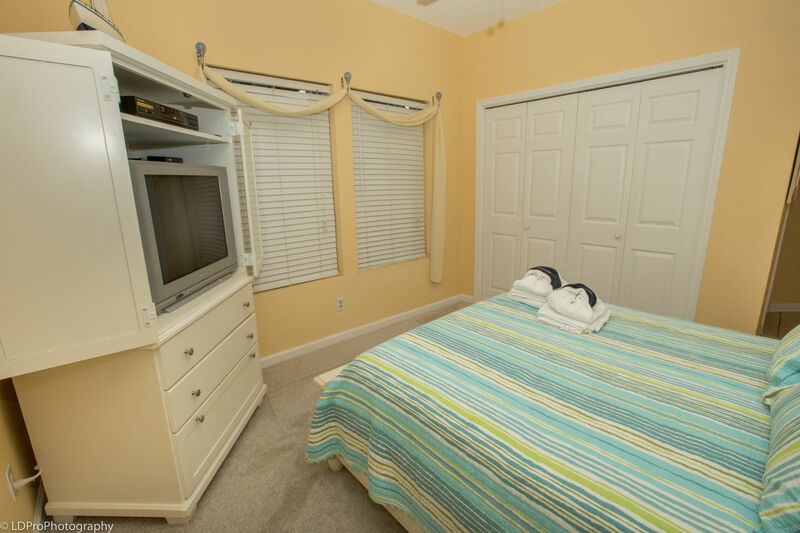 The Master bedroom has a large King size bed, an HDTV, and its own private patio. 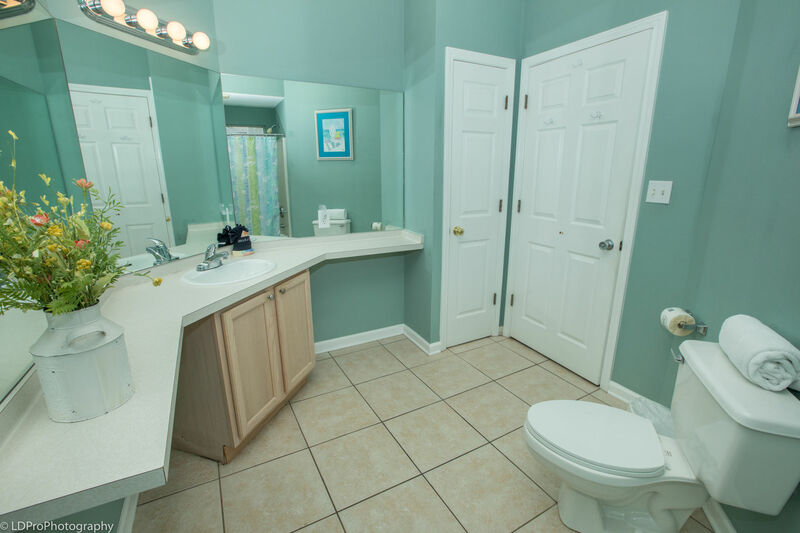 The spacious master bathroom and is private to the bedroom. 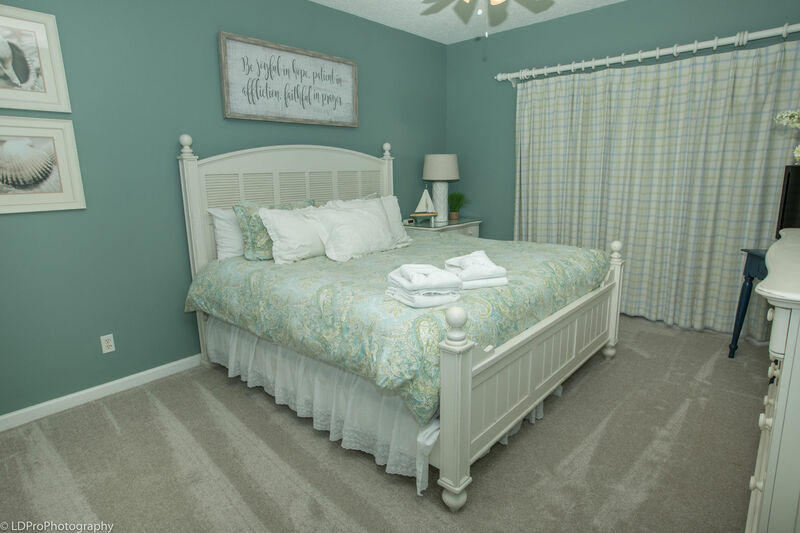 The Guest bedroom has a queen bed and its own dedicated full bathroom. 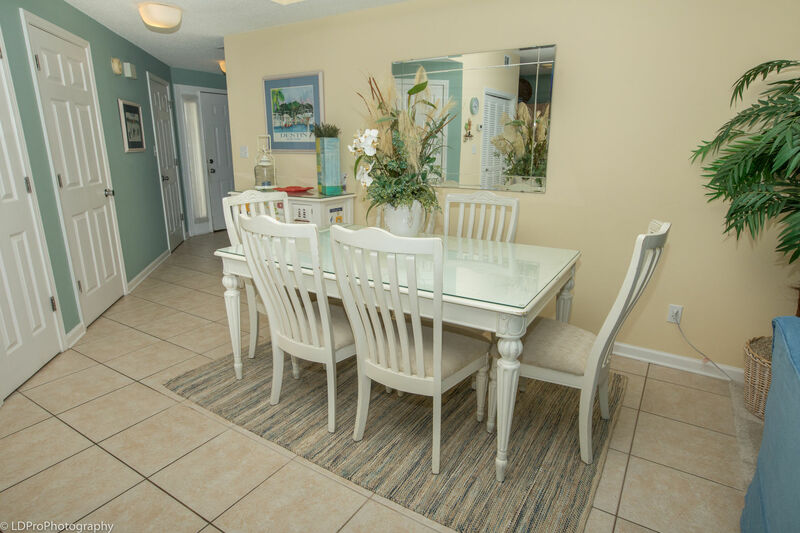 From the living room you can reach the large patio complete with a full size table and plenty of seats to have an outside meal or enjoy the Florida sunshine. 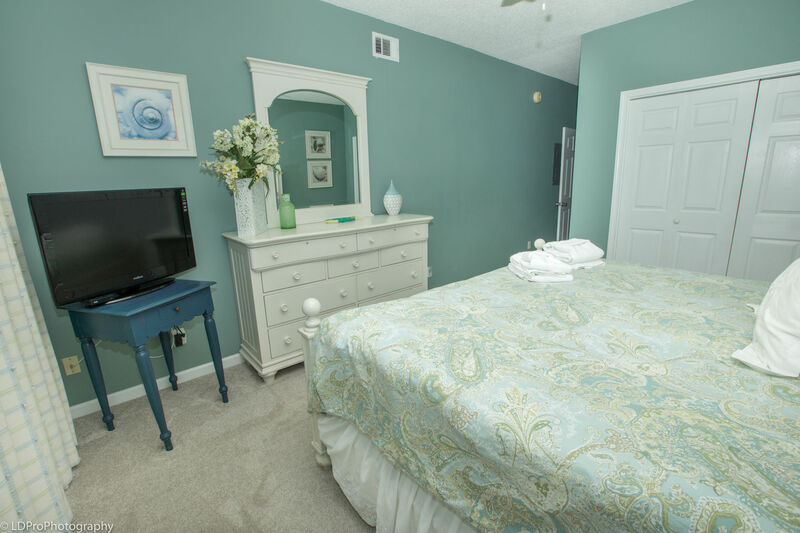 There are TVs in both bedrooms and the living room, and there’s even a washer/dryer combo inside the condo free for you to use. This condo will sleep 6 in style and ease. 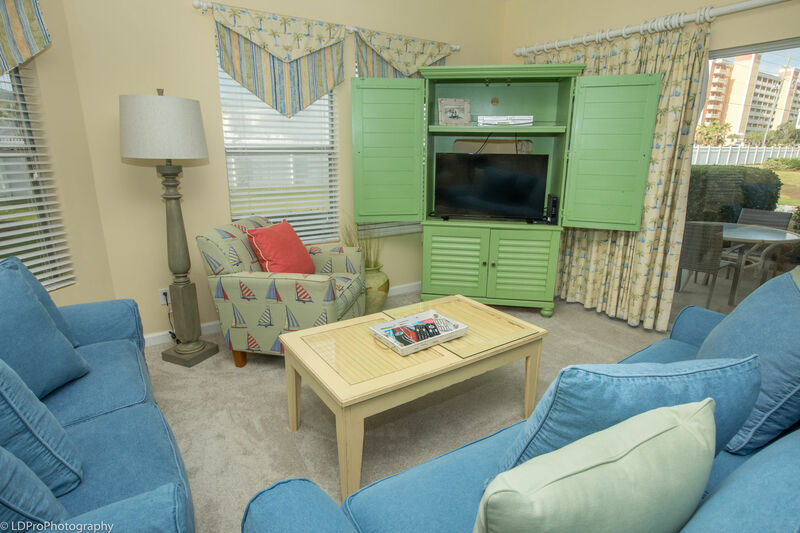 Sandpiper Cove has 5 pools, but if you’re staying in this condo, you’re only steps away from Sandpiper Coves newest and best pool. 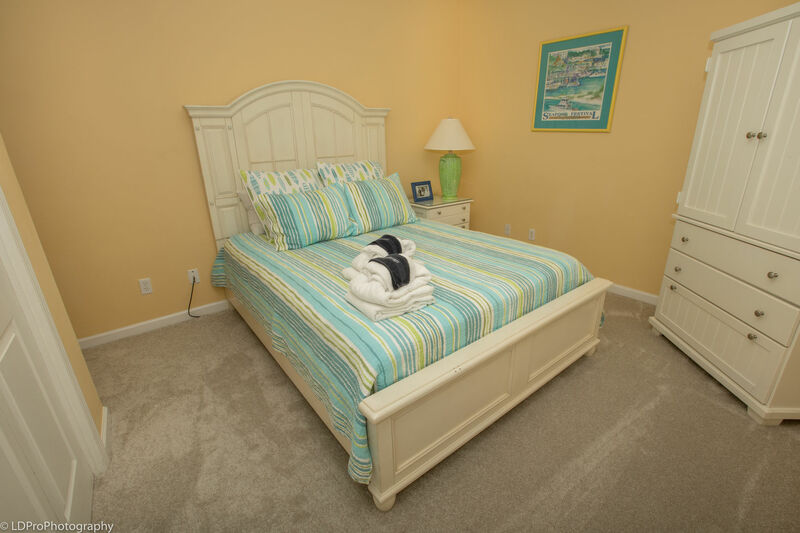 With all this going for it, and only a 3 minute walk to Sandpiper Cove’s private beach, what are you waiting for? 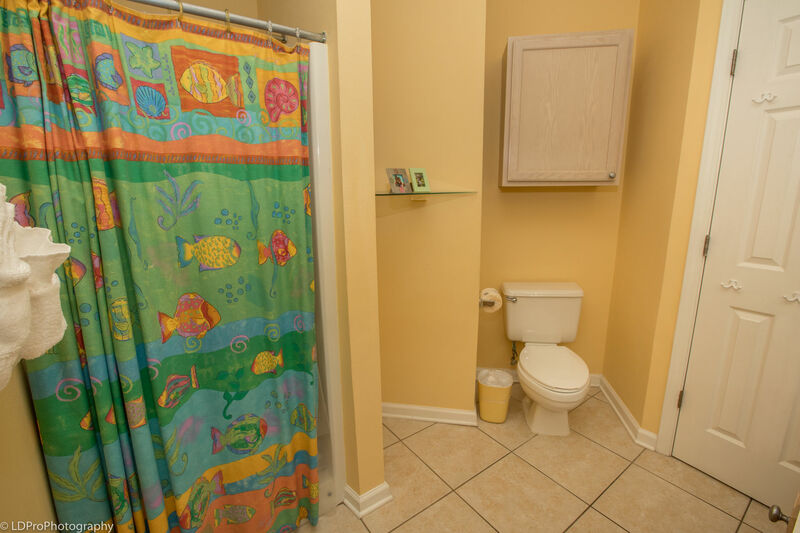 Book this property now before it’s gone! 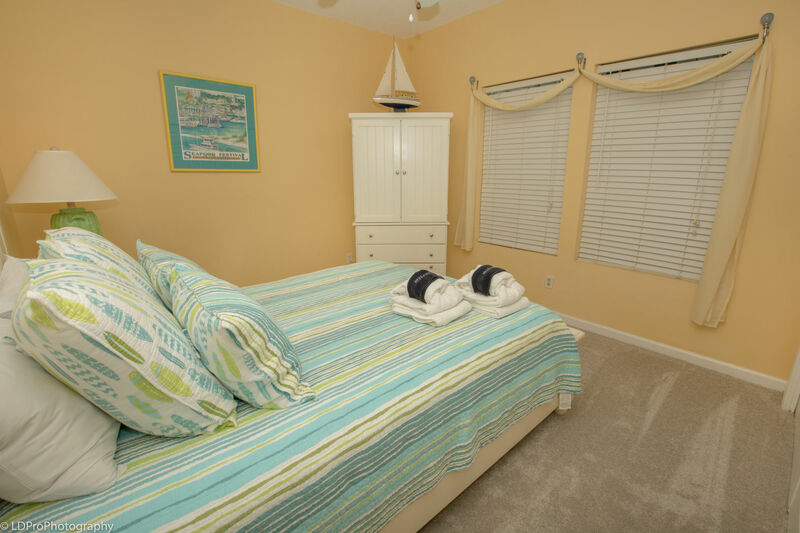 We have stayed at Sand Piper Cove many times, and I must say this is one of the nicest condos we have stayed in. 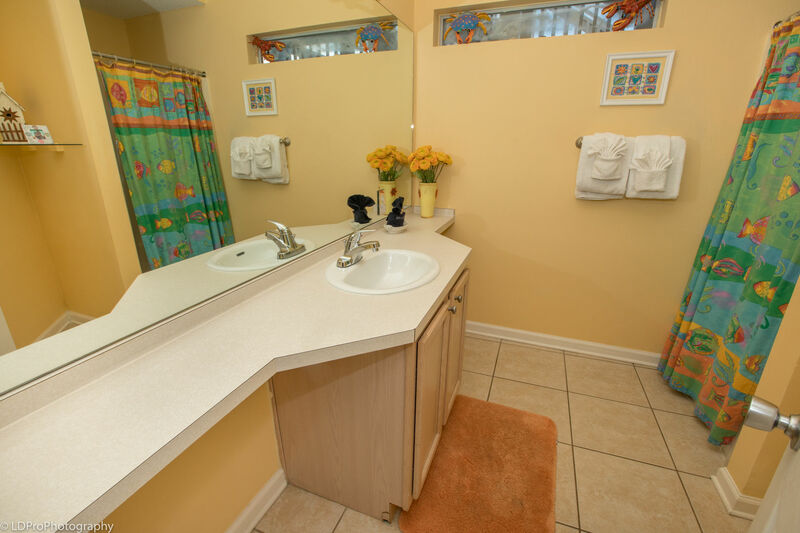 It was very clean, beautifully decorated, and you can not beat the location for the price! 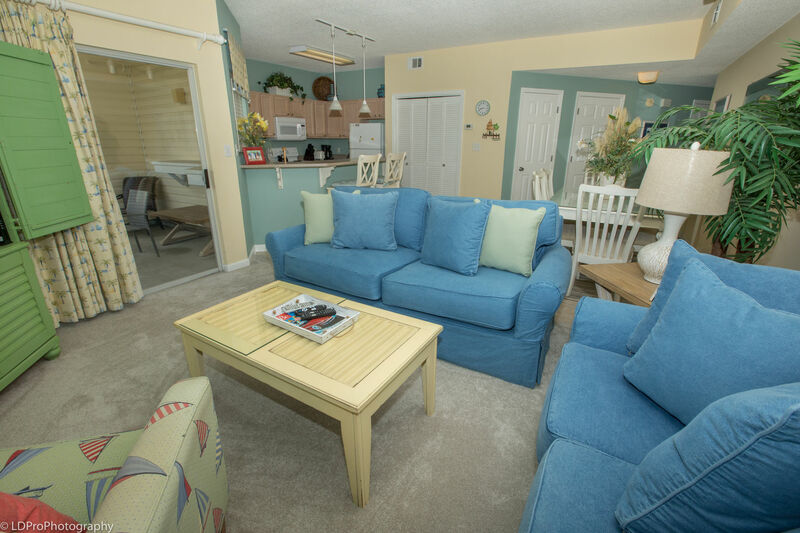 It is a 2 minute walk to the beach! 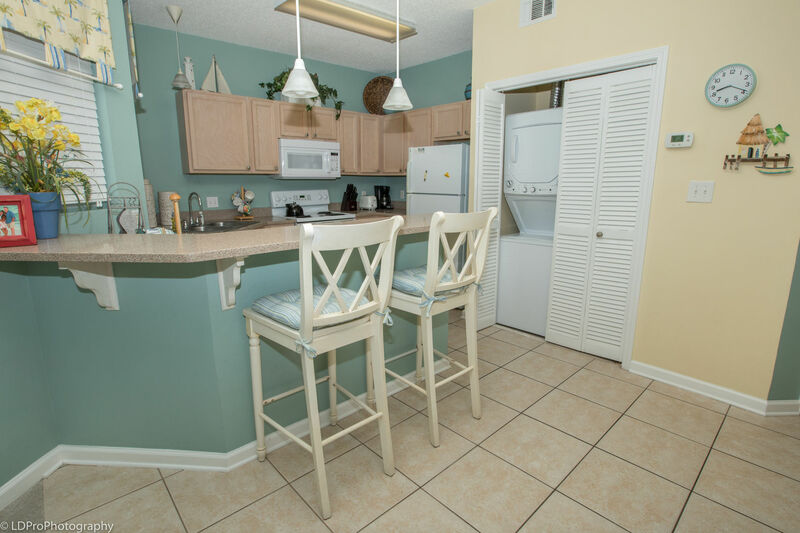 I highly recommend this condo, and renting from Holiday Isle Properties! Great experience! We had a wonderful time here this year. 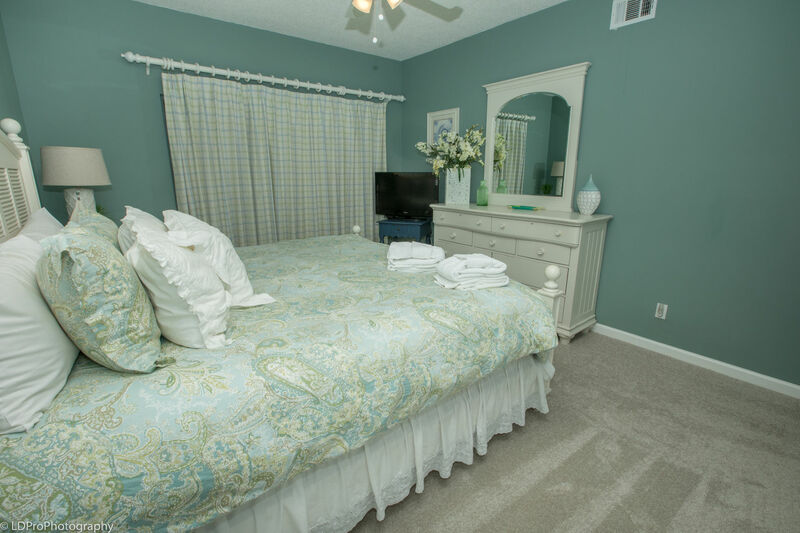 We always love staying at Sandpiper Cove! Truly loved it! Home away from home. Definitely coming back, but staying longer.